If you have lots of things, and simply need clever and beautiful places to put them, we’re here to help you. 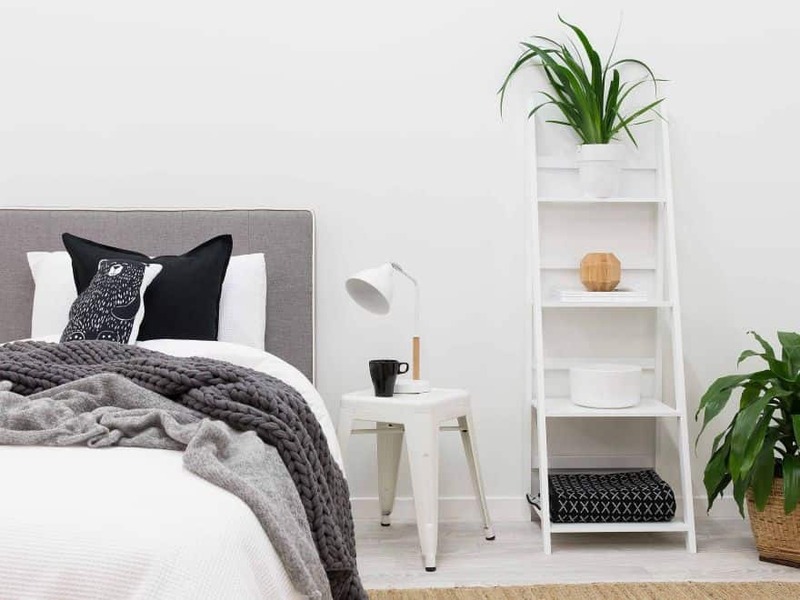 Whether you’re searching for creative storage solutions out of necessity or decorative purposes, we have gathered the best storage ideas for your entire home. 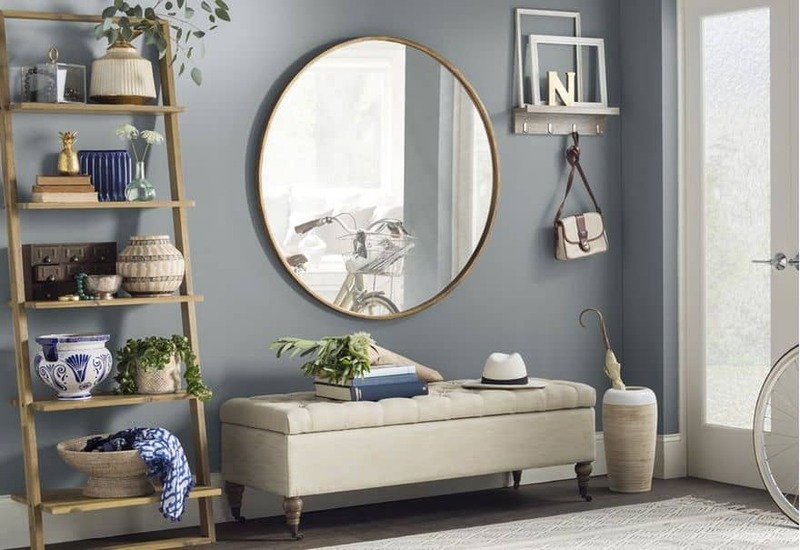 From floating shelves to beautiful bookcases, we scoured the internet to find the most ingenious solutions to keep your home organized and looking tastefully designed. 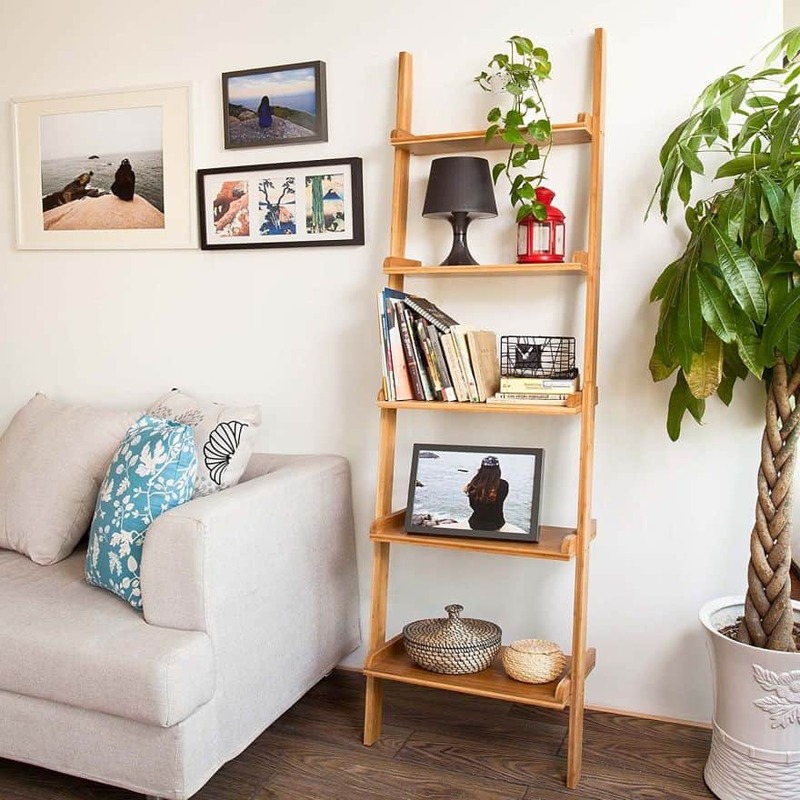 Today, we’re taking it a step further and we bring you the best ladder shelf ideas that can work wonders in a house that needs an extra little something to add that finishing touch. Ladder shelves are the proof that you can successfully marry functional storage with artful design. 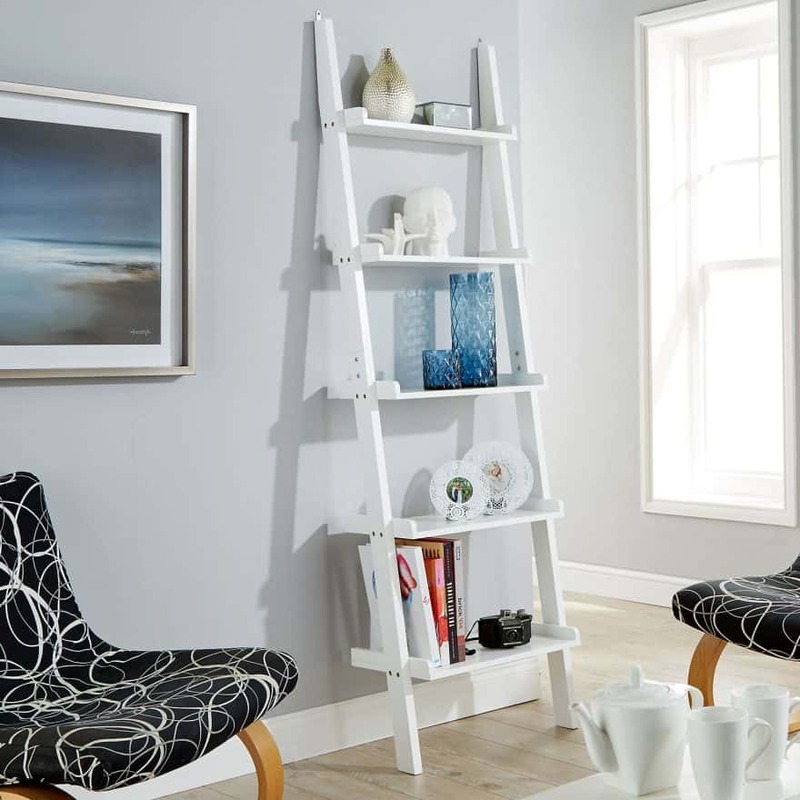 Whether it’s their shape, location, or how their contents are arranged, ladder shelves are one of those little things that take a space from good to great. 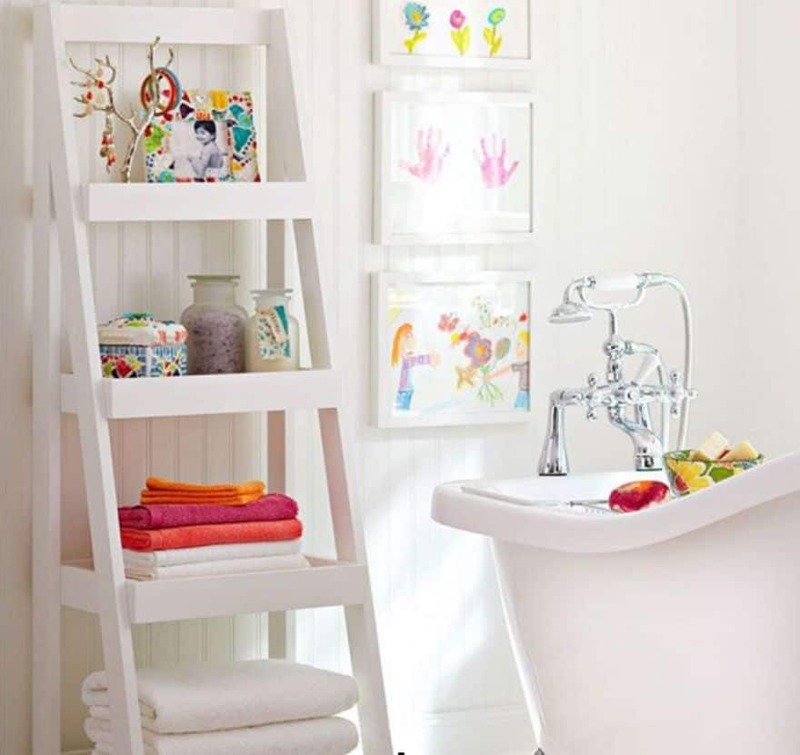 A ladder shelf is a great way to add a little extra storage without overwhelming a space. It’s also exceptionally versatile, making it perfect for using as a rustic bookcase, creating a plant display or showcasing objects of art. 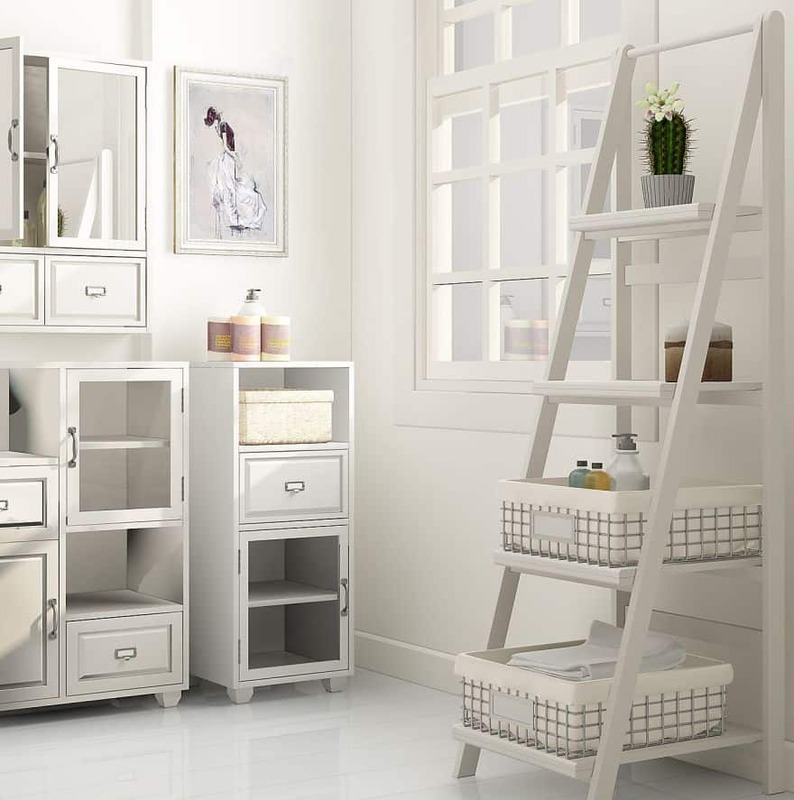 Visually, a ladder shelf looks less bulky than traditional cabinets and displays. The open, airy design helps the room feel more spacious. And the best part about them is that you don’t need to spend a fortune. 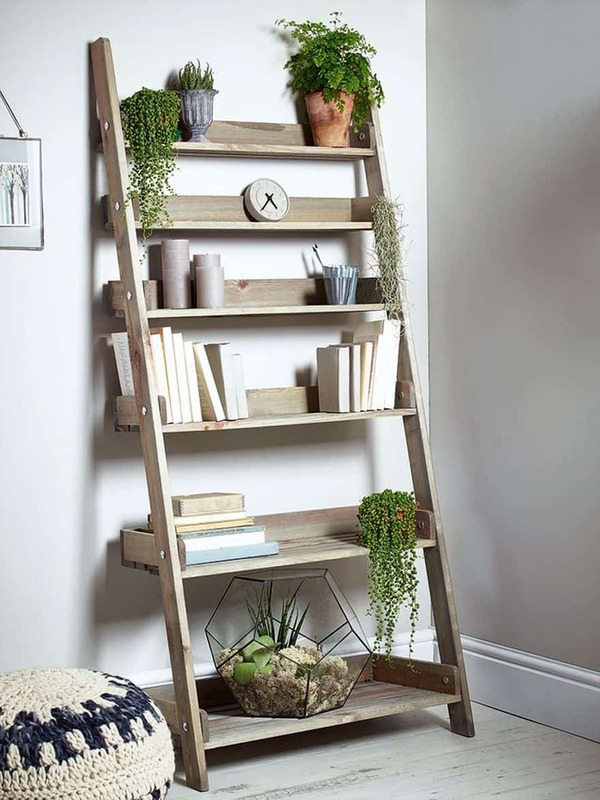 We’ve compiled a list of creative and beautiful ladder shelves ranging from super-modern choices for minimalist or industrial interiors to charming rustic DIY projects for cottage styles. Basically, there are two types of ladder shelves – leaning or stand-alone. 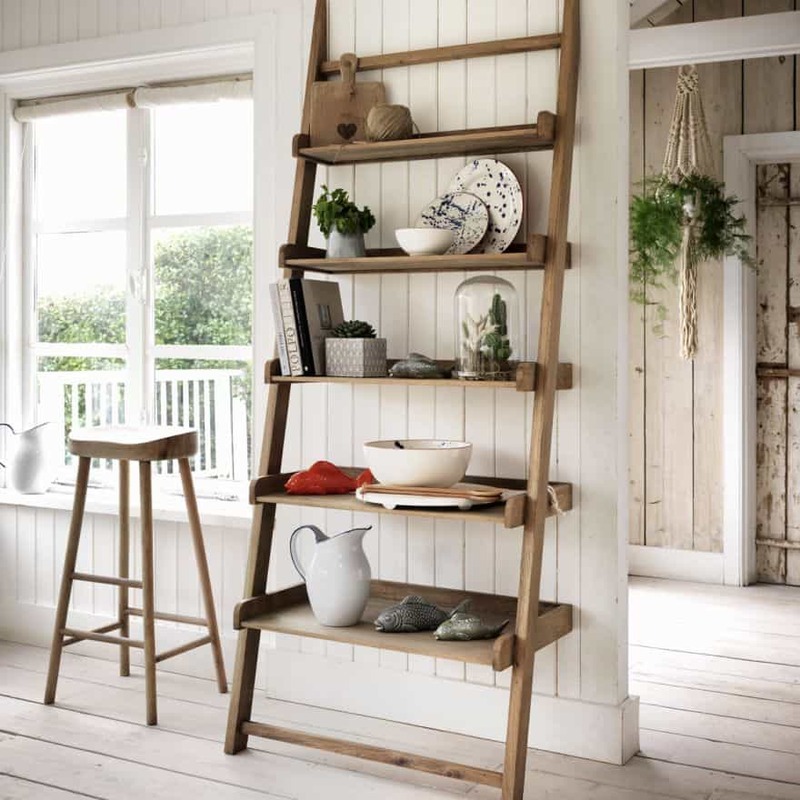 The stand-alone ladder shelf is created from a step-ladder, while a leaning one requires a wall to witch it’s attached. Regardless of their type, these wonderfully distinctive shelves can store pretty much anything – books, dishes, collectibles, pictures, and a million other things. Our gallery features both types. 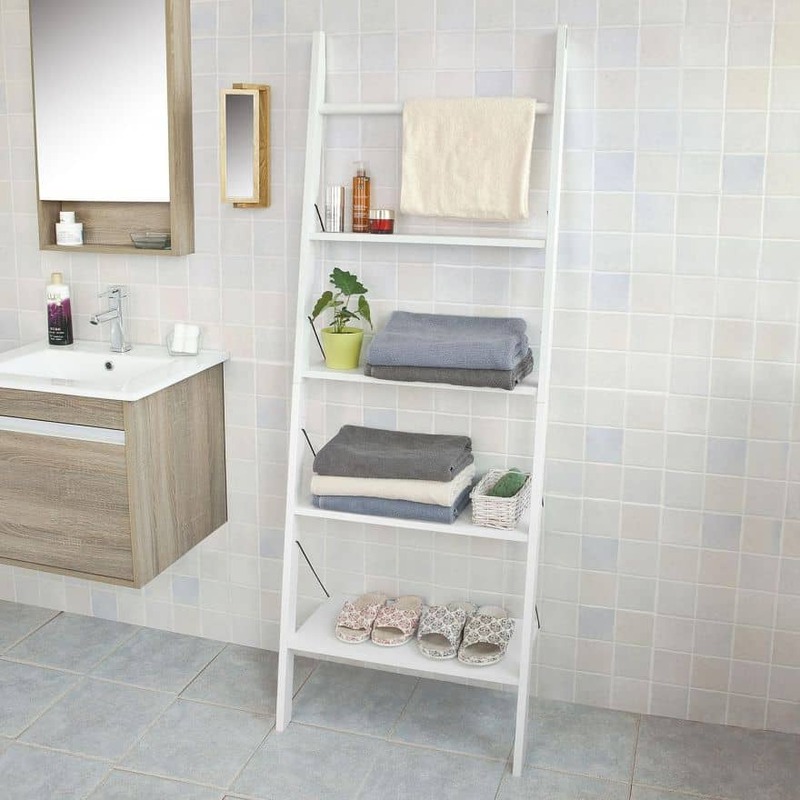 Let’s take a look at some awesome and practical ladder shelving storage options that you may not have considered before. You’ll find ladder shelf ideas you’ll love for every room in the house. 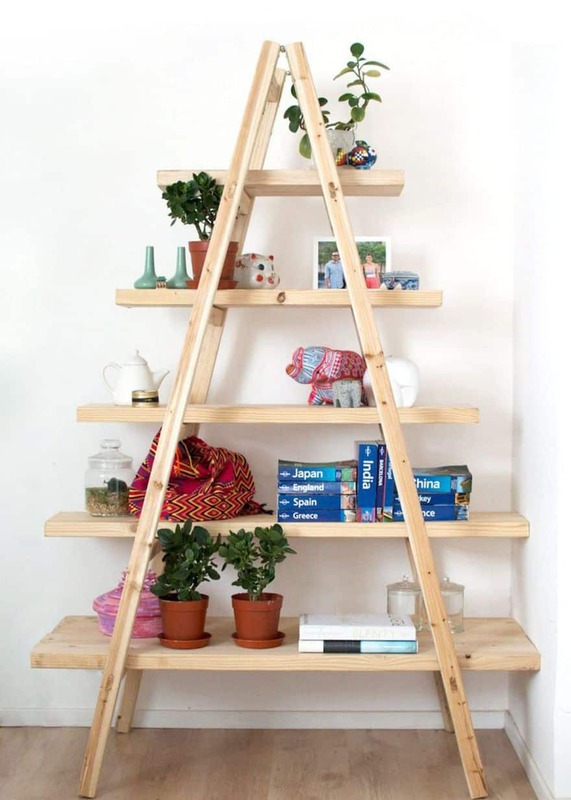 Ladder shelves can go anywhere you need a storage boost. 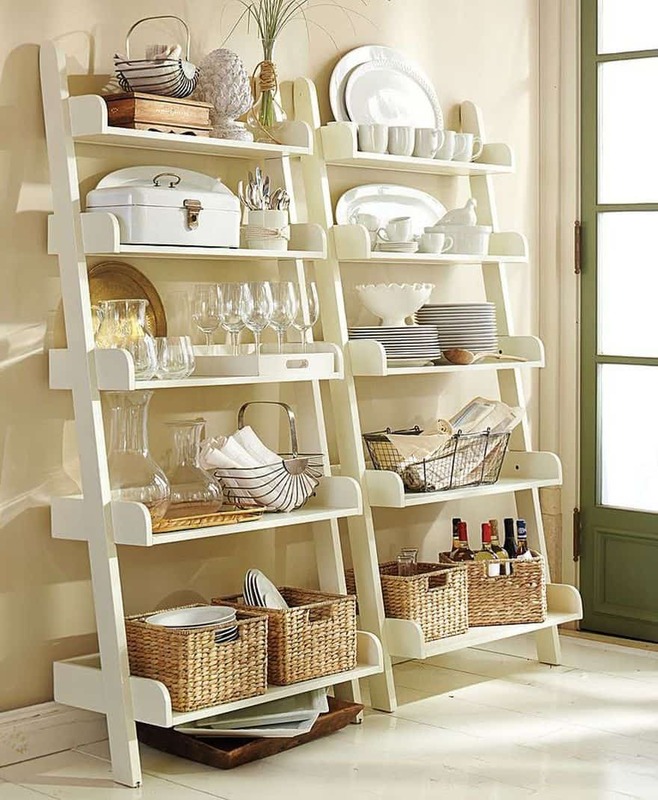 Put the leaning ladder shelf against a kitchen wall and it becomes an extra pantry area for pots, bowls, cookbooks and more. 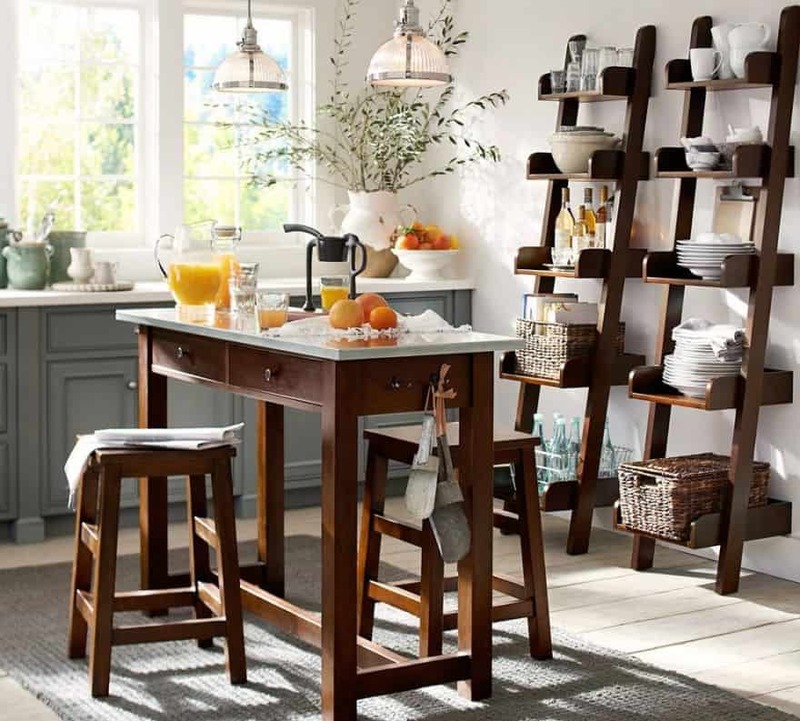 Or you can opt for a folding ladder and you’ll have an open-shelf system to keep everyday dishes close at hand. Plus it makes an attractive display. 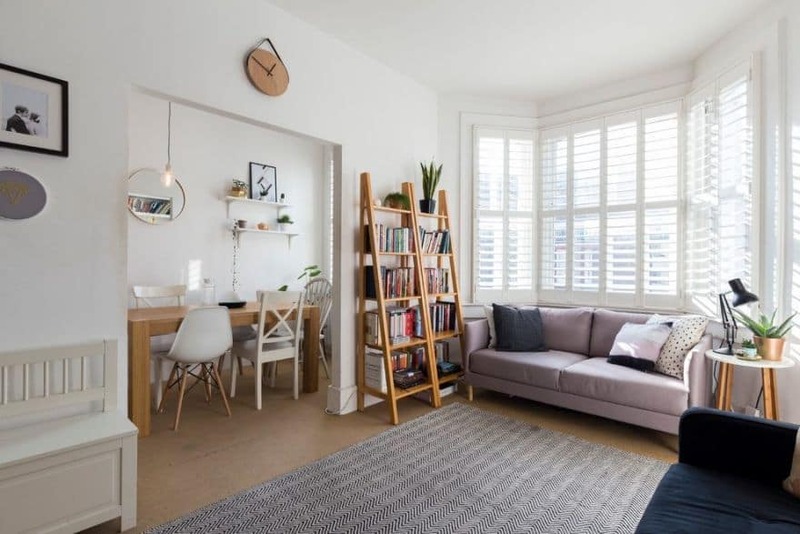 Most living or dining rooms need storage that’s decorative as well as functional and that’s why ladder shelves work perfectly in these spaces. 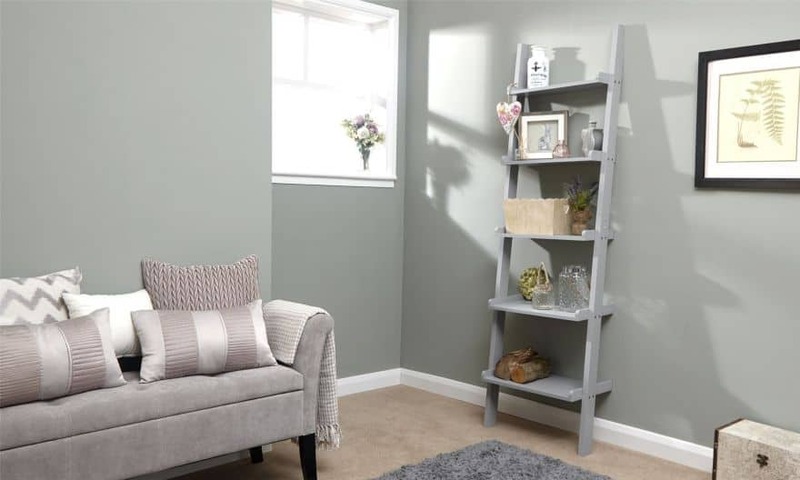 Ladder shelving is not only an efficient and money-saving way to sort, display and store your things, but can also make a space feel lighter, bigger and more open. 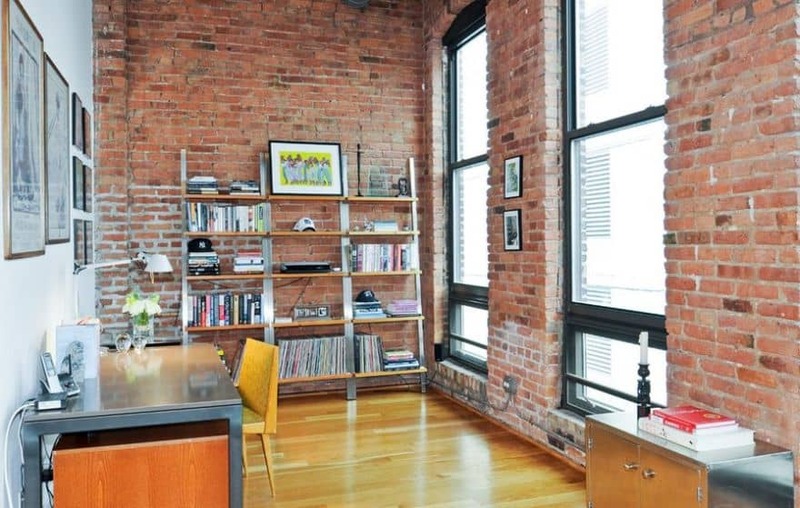 You can use them as bookshelves, to display photos, or whatever else you want to show off in your living room. 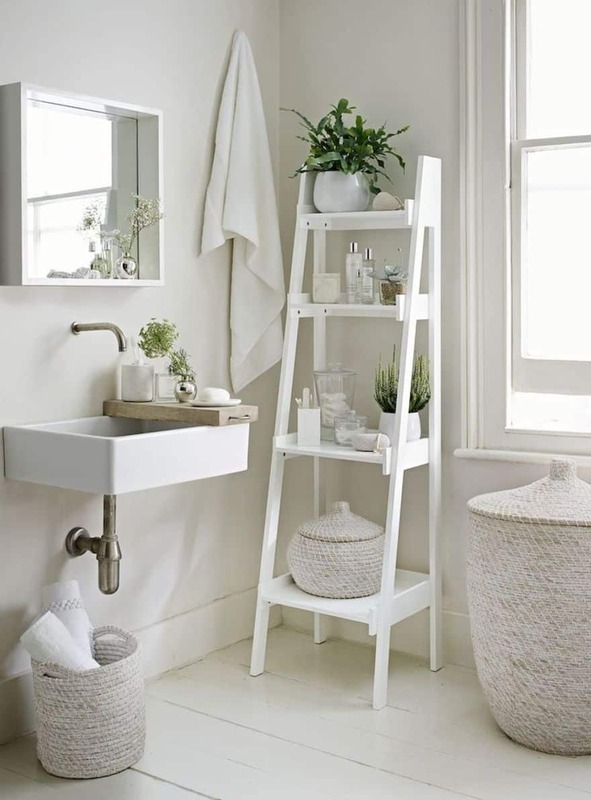 Whether your bathroom is large or small, these ladder shelf storage ideas will help you add space and stay organized. 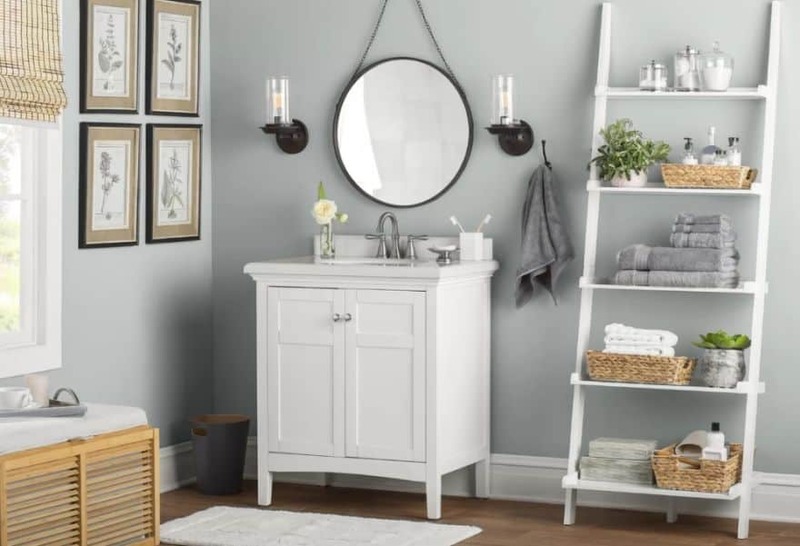 They add a bit of charm and may also make life a little easier, giving you easy way to access clean towels, new soap, and other bathroom necessities. 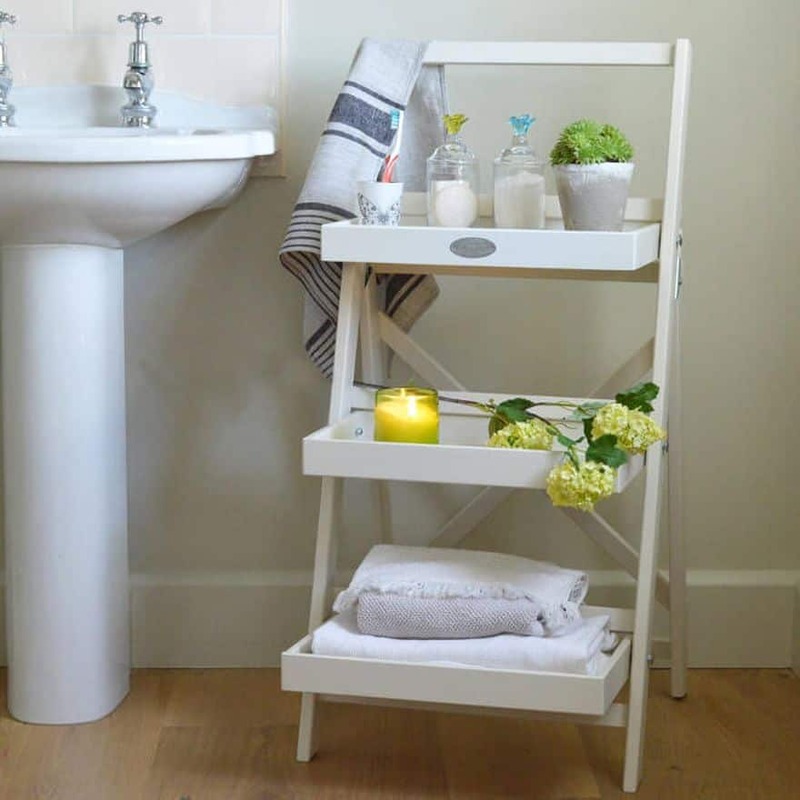 Ladder shelving is a great way to turn your everyday bathroom items into decor pieces and they’re perfect for storing extra towels and other larger items. 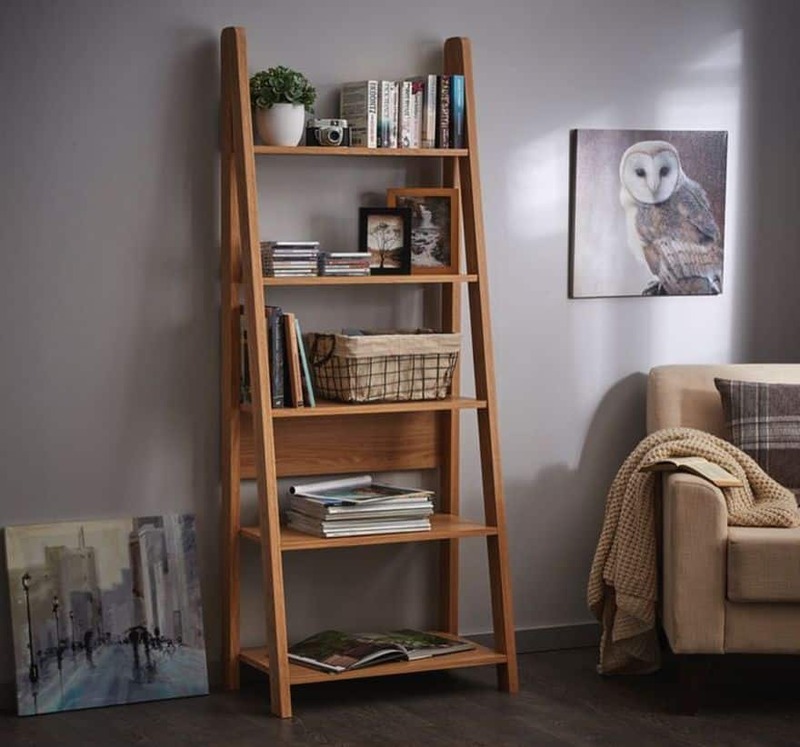 In conclusion, ladder shelves are a great way to bring warmth, charm, life and personality into a room. They look incredibly good with both the farmhouse look and the industrial design style, but can work well with just about any design choice. Ladder shelving is like a blank canvas to fill with the things that are important to you. 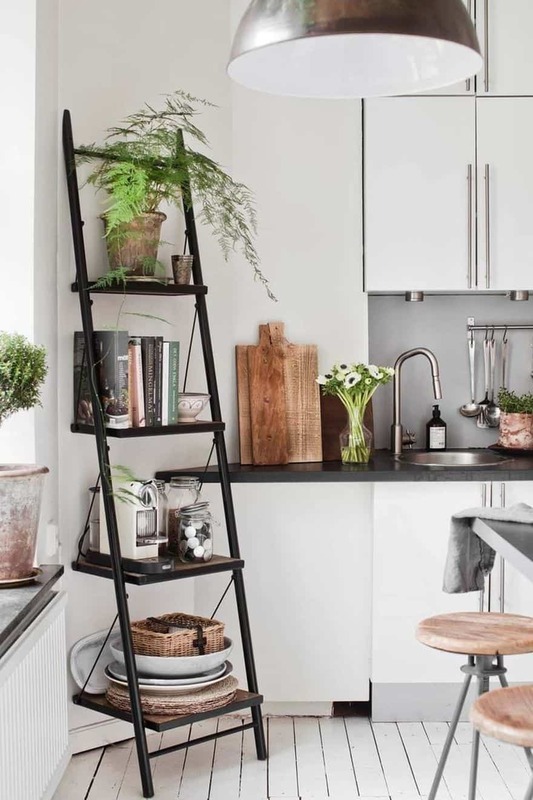 If you’re not convinced yet to opt for a ladder shelf, check out these beautiful displays and maybe you’ll find some storage inspiration for your home.